If you have ever thought about trying out a boot camp, but are intimidated by the name, you aren’t alone! Boot camps will typically rotate between high intensity intervals of both cardio and strength. They also add in elements of speed, agility and power. Many boot camps will take place outdoors and use elements like natural hills, sidewalks and park benches to make for more interesting workouts. Other boot camps can make use of fitness equipment such as agility ladders, parachutes, and small hurdles. To sum it up, these classes never have a dull moment, and you can be assured you will leave having had an exhausting total body workout that challenged you at your individual level. To give you a taste of what kinds of exercises might take place in a boot camp, try the workout below. Then, take the next step and to sign up for a boot camp class at NIFS! Remember that many instructors are able to give individual modifications to exercises to take the intensity up or down, depending on participant needs. Then, for the workout, complete 30 seconds of each exercise. Return to the beginning, and complete again for a second round. As your body becomes conditioned, work up to completing 45 seconds of each exercise, 3 rounds through. We work on a lot of build/design projects in retirement communities where the project is either new construction for a new community, or the plan is part of a repositioning that includes enhanced wellness spaces and services. I’ve got two communities on my desk currently where we’re helping to map out their fitness center and related spaces.If you follow industry trends, you see it all the time in press releases, RSS feeds and other media avenues: ground breakings for projects that include a state-of-the-art wellness wing, indoor/outdoor pool complex, etc. Communities are getting serious about folding resident wellness into their broader business strategy to remain viable in the market.Over my years at NIFS, I’ve had the pleasure of working on more than 20 different types of fitness center builds. As you can imagine, I’ve learned quite a bit along the way. Below are my top five recommendations (in random order) on pitfalls to avoid during your design journey. #5 – Don’t let your design team talk you out of consulting with an expert who is used to programming fitness spaces. You should rely 100% on your architectural team to provide all the elements of the space that speak to code, compliance, overall flow and esthetics as those elements relate to the broader project goal. But it’s not reasonable to expect them to understand how your personal trainers and fitness manager will work with your residents in the space. Unless your architect had a previous career managing a fitness center for an active older adult audience, my hunch (based on my experience) is that he might miss some key elements in the design that would ultimately inhibit the end-user experience. #4 –Don’t overlook the value of qualified management for your fitness areas. There is nothing worse than pouring money into fabulous state-of-the-art digs than to have them sit idle after the grand opening. 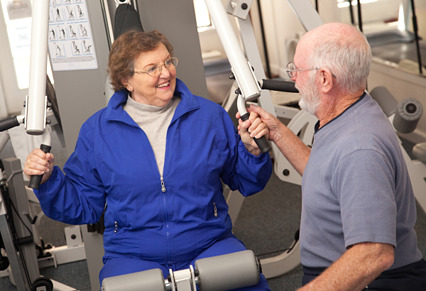 We know that senior living fitness centers are not an “if you build it they will come” proposition. Your resident audience will be expecting support to use the pool, fitness center, and other health-related spaces. Plan to hire a qualified manager who is dedicated to running this physical dimension of your wellness strategy. (Note – this is not the same as your fee-for-service personal trainer.) You’ll be glad you did. #3 – Don’t assume that what you’re planning for today will fit you tomorrow. If you follow #5 and #4 above, you’ll be quite pleased with how well-utilized the exercise programs are in your community. And it won’t be long before you need to add another treadmill, a mat table, or another piece of equipment. If you design with growth in mind, you’ll be able to do some subtle shifting of existing equipment to make new pieces fit. Similarly, if you anticipate that the space and services will quickly become wildly popular, you may need to add staffing. Planning for additional staff workspace is also essential. #2 – Don’t get swept up by a sales pitch from an equipment vendor. 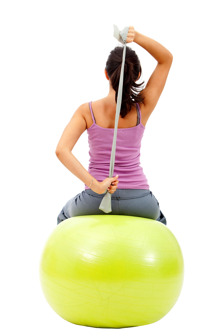 Exercise equipment comes in a lot of shapes and sizes – it is not one size fits all. Treadmills can vary widely on the marketplace in terms of features, cost, warranty, and ease of use. Do your homework (or hire someone to help you) and avoid being swayed by the sales pitches from equipment retailers. All of them will put together a layout for you at “no extra cost”. All of them will tell you they’ve been in the active aging market for decades. All of them will tell you that they have the best science behind their product. It’s a very buyer beware market. #1 – Don’t get tunnel vision on what a quality fitness program (bricks and mortar + management) can do for your residents and the greater community. Expand your vision of what’s possible in the space. If you can dream big on this project, you’ll be able to anticipate where the market is headed for resident wellness. Do you have an opportunity to capitalize on your local neighbors for some revenue by opening up your fitness center and services to the 55+ community who does not yet live on your campus? Can you see a path to combine therapy and wellness in your new space where the transition of care is seamless for your residents? How do you need to design the space to support these concepts as part of your future? Think about separate entrances, equipment, user privacy needs, data lines and medical records storage. What has to be in place for your dream space to become a reality and potentially a new best practice in resident fitness programming? It can be both exciting and daunting to embark on a substantial construction project. Getting the right stakeholders to the design table early will help you carefully navigate some of the common pitfalls I noted above. We have designed dozens of client fitness centers to maximize function and flow in the space with diverse equipment options that meet the needs of active older adults. NIFS was thrilled to begin fitness management services at two new retirement community client sites in April. 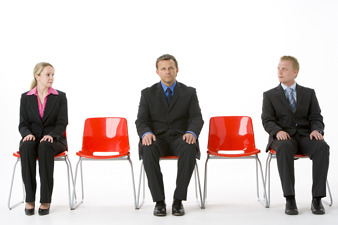 Furthermore, we were honored to be able to tailor our staffing services for the unique needs of each location. Community fitness and wellness programs can’t be addressed with a cookie-cutter approach. Read on to learn how NIFS is supporting the unique needs of each location and their residents. Peabody is a CCRC in North Manchester, Indiana. Although Peabody did not have a fitness center for its residents until the grand opening of the brand new Billie Jean Strauss Wellness Center in April, NIFS has been supporting this community since early 2012 through consulting and equipment recommendations. NIFS provided recommendations for the fitness center and aerobics studio, including everything from treadmills to strength equipment to balance-training tools and space layouts. When the build was complete, NIFS was able to support the equipment installation and helped the community prepare for the grand opening celebration. Because Peabody residents are not accustomed to exercising in an onsite fitness center or having group fitness class options in an aerobics studio, the community began staffing services at 20 hours per week with a NIFS Fitness Manager. As NIFS’s best-in-class fitness programming sparks resident engagement and enthusiasm, they anticipate growing the manager position to full-time to add more opportunities and services for residents. So far the launch of the program has been a great success and residents have been very eager to learn about the new equipment and program. NIFS is excited to expand the possibilities for Peabody residents and grow with the community. Sandhill Cove is a CCRC in Palm City, Florida. The community has a fitness center, pool, and contracted group fitness and personal training services. NIFS visited the community for a consulting arrangement in the fall of 2012 and provided a variety of recommendations to unify their program offerings in creating a stronger wellness brand. Following those recommendations, community leadership felt that NIFS could best lead this movement for the community and began staffing services with a full-time NIFS Waterfront Wellness Director. The community had strong elements of a wellness program in place for its residents. The Wellness Director will be leading the initiative at the community and helping to pull in the various programs, services, and personnel under a unified vision for the program. In addition, the Wellness Director will be providing NIFS’s traditional best-in-class fitness programming and management services. NIFS launched at the community in early April and we are thrilled with the progress made with increasing resident awareness of new and existing services available at the community and with the turnout at the Waterfront Wellness Open House. Residents received a passport to guide them on a tour of different booths. The booths highlighted different programs and service offerings around the community and educated participants on the different dimensions of wellness. Eighty-nine percent of residents who participated in the event submitted a completed passport indicating that they visited every booth. This was a great first step in helping residents identify the various programs and service offerings available at Sandhill Cove under the Waterfront Wellness Program. In celebration of National Employee Health and Fitness Month, be a healthy trendsetter in your company by inviting a co-worker to join you for a workout at your corporate fitness center! Not only will working in a group help keep you motivated, you can push each other to strive for a better workout. Here are some ideas that are featured in the video below for partner exercises that are great for any level of fitness! Your workouts don't have to be stressful. If you find you struggle with fitting exercise into your routine, take ten minutes at a time to go for a walk, stand up at your desk to stretch, perform exercises at your desk, anything that can help you FIT IT IN to your schedule. Stop reading... Get up and Move! Talk to your corporate fitness staff about Deskercise and how you can fit exercise into your routine from your desk! Close out the week with a simple workout that will not only work the muscles, but test your balance. We’ve probably all heard that balance becomes increasingly important as we age to help prevent falls and loss of coordination. But, it’s never too early to start working to improve your balance! 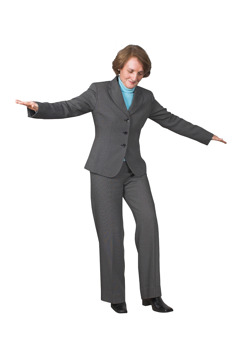 Some easy tips to instantly challenge your balance are to stand or sit on an unstable surface (i.e. a BOSU or stability ball), try performing an exercise standing on one leg only, or try closing your eyes—taking away the sense of sight will increase the rest of the body’s proprioception. Try the following exercises to add in an element of instability to your regular strength training moves. If you quietly answered yes to that question and then pulled your office door shut so no one would know you were reading this blog, it’s okay. Take a deep breath. You’re not the only one who has struggled with occupancy at one time or another. Kudos to you for looking at alternative means to boost your occupancy. 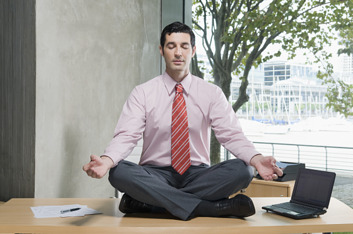 It’s true: wellness programming hasn’t been a traditional area for tackling occupancy issues. But as more and more communities get on board with providing a healthy lifestyle for their residents, a creative and well-executed resident wellness strategy will become essential for communities to compete in the marketplace. That may be the future, but I don’t think it’s too far off. And positioning your community now with a standout fitness and wellness program for your residents will only build your competitive advantage. If you’re looking for some baby steps to take to get you started, consider reviewing the National Whole-Person Wellness Survey available from Mather LifeWays for $15. The report is extensive and details various trends in community wellness, covering multiple dimensions as well as details about program participation and anticipated future trends in community wellness. You can also register for the NIFS Build Vitality webinar series. In this free four-part webinar series, we cover wellness branding, fitness centers, wellness staffing, and wellness programs. If this all seems like too much to bite off for now, watch the short video below to hear why senior living marketing professionals are convinced robust wellness programming is central to their occupancy success. The weather is warming up a little more each week, so that means it’s the season for swimsuits and tank tops! Even though many people exercise hard for the first half of the year to prepare for “swimsuit season,” many people tend to let their workouts take a vacation as well during the summer. Some easy ways to squeeze in exercise during the summer months are to take a walk outside, take the kids to a pool and play with them in the water, plan a vacation that involves activity such as hiking or canoeing, or walk or bike to your favorite restaurant instead of driving. As you are getting those arms summer-ready, remember that when toning and shaping of muscles is the goal, strength exercises should be done in addition to a weekly cardio routine. Performing both cardio and strength exercises will help eliminate excess body fat while sculpting lean muscle. Here are some specific toning exercises for the shoulders, biceps and triceps that can be done anywhere. If you don’t own dumbbells at home or aren't able to make it to your corporate fitness center, you can use water bottles, cans or anything that can be easily held and is light-medium weight. Complete the following exercises striving for 10-15 repetitions, 2-3 sets.